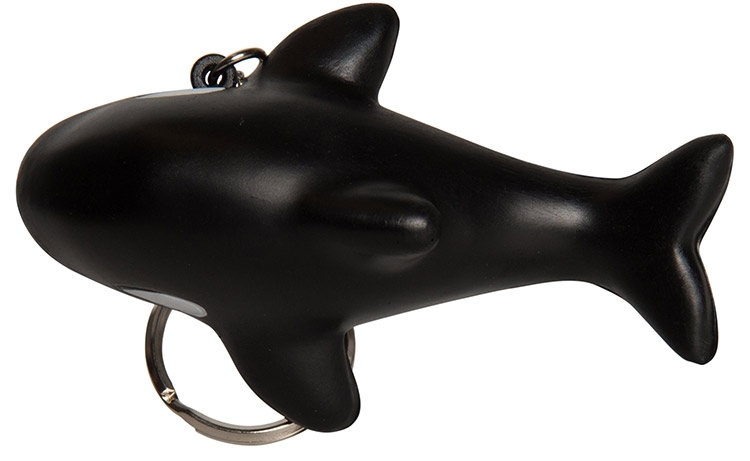 This Orca whale shaped stress reliever with key chain lets your customers have fun on the go and helps reduce their stress! Great for aquariums, beach resorts, and surf shops! Be sure to order plenty for your next event! Customers will love to show these off on key rings, book bags, tote bags, and the zippers on a jacket! Products are not intended for use by children or pets. They may present a choking hazard to children under 3 years of age.